If you want to follow a career in the military, the South African National Defence Force (SANF) offers young, fit and mentally strong citizens the chance to follow a military career by joining the Military Skills Development System (MSDS). The MSDS is a Department of Defence programme that serves as the entry-level platform for young South Africans who want to follow a career in the South African National Defence Force. If you are selected to join the South African National Defence Force through the MSDS, you will undergo an initial period of two years voluntary service. In the first year, you will receive military training and further functional training. In the second year, you will be deployed where needed. During the deployment, you will get an opportunity to apply your knowledge and develop your skills. After the 2 years, you will either continue as part of the Reserve Force or receive a contract offer to join the Regular Force. Selected members with the required academic qualifications are also sent to universities or the Military Academy. Be aged between 18 and 22 years (Graduates up to the age of 26 years). Be currently busy with the National Senior Certificate (Grade 12) or have completed it. Have no record of a criminal offence. Comply with medical fitness requirements for appointment in the South African National Defence Force. Be prepared to do Basic Military Training, Functional Training and to serve in uniform. Requirements to join the South African Air Force (SAAF), Navy (SAN) and the Military Health Service (SAMHS) may differ to that of the SA Army, please contact the SANDF to at 021 787 1144 to find out more. In the first 2 years of voluntary service, you can expect to receive the following training. Basic military training and functional training. Participation in practical military exercises. Junior leaders (Officers) receive leader group corps training. Undergo Young Officers Formative training. Selection of Officers to study at the Military Academy. Focus on utilisation and deployment of Military Skills Development System troops. Military Skills Development System members will receive wages for the duration of their two year full-time training and utilisation. 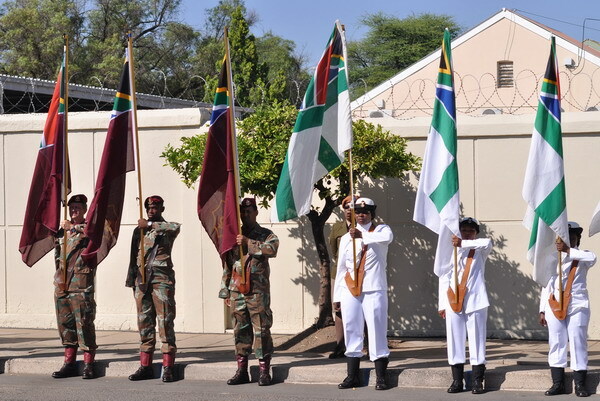 If you are interested in joining the Military Skills Development System, you can contact the SANDF’s Western Cape recruitment offices at 021 787 1144, or you can contact SANDF’s head office at (012) 355 6999 or via email at [email protected]. Information supplied by the Western Cape Government.